Nestled among the powdery white shores of Hilton Head Island is the vacation resort you've been dreaming of. Find affordable timeshare resales and rentals at Marriott's Barony Beach Club and guarantee years of amazing vacations. Discover one of the most popular East Coast vacation destinations from outstanding accommodations right on the beach. Marriott's Barony Beach Club provides effortless luxury and complete convenience on the shores of Hilton Head Island, allowing you to truly immerse yourself into the Carolinian atmosphere. Whether you're looking to golf on the island's award-winning courses, kayak through inland waterways, or simply relax on the beach under a shady palmetto tree, you can craft the Hilton Head vacation you want from the Barony Beach Club. 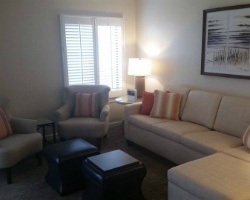 The resort's two bedroom villas are ideal for families and small groups alike, and come well-equipped with enough in-unit amenities to make your stay comfortable. Walk down to the beach in just minutes, or stay in your suite to enjoy the gorgeous view of the sea from your own private balcony. 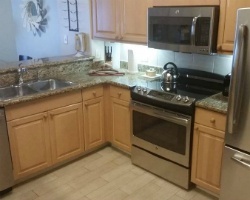 Complete with living areas, kitchens, and laundry machines, you'll feel right at home for the duration of your stay. Are you ready to lock down years of amazing Hilton Head trips? The timeshare resale and rental advertisements at the Marriott Barony Beach Club are perfect for those looking to enjoy the island time and time again. Fill out the form on this page for more information or call a representative at 1-877-815-4227 today. 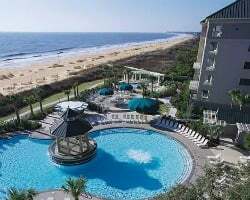 Buying a timeshare resale at the Barony Beach Club won't only get you yearly accommodations at one of the best resorts in Hilton Head—it will get you those accommodations for thousands less. Resale advertisements are posted for-sale-by-owner instead of directly from the resort, resulting in the same great timeshare opportunities for prices up to 70% lower than retail costs. What's more, a timeshare resale at the Barony Beach Club could mean easier and more affordable access into the Marriott Vacation Club. Resale postings at the resort typically come in the form of deeded and floating weeks, and also fall into Marriott's Bronze, Silver, Gold, and Platinum seasons. This variety of advertisements will allow you to find an ownership interval and a price point that works best for you. The Barony Beach Club is affiliated with the Marriott Vacation Club, regarded as one of the most resale-friendly ownership brands in the industry. This means that when you purchase a resale, you'll face very few restrictions upon entering the club. 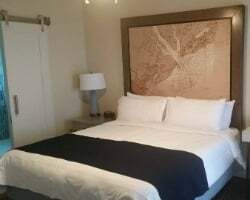 You can start to make reservations for your trips using your deeded week, or you may choose to upgrade into the Marriott Vacation Club Destinations program. Doing so would unlock exclusive perks and bonuses, such as points-based ownership, exchanges at other Marriott resorts, and more. The Marriott Barony Beach Club is also affiliated with Interval International, one of the world's most popular timeshare exchange brands. With a separate Interval membership, you can deposit your timeshare resale at the Beach Club to trade for stays at other resorts around the world. Exchanging is a great way to utilize your timeshare ownership to see the world and truly broaden your horizons. Plus, you may be able to access extras like cruise tickets, discounted airfare, and more. Marriott's Barony Beach Club is an Interval International Elite Resort, noted for its superior amenities, services, and reputation for excellence among former guests. This Hilton Head Marriott Vacation Club resort specializes in providing guests with a spectacular array of on-site amenities and services to ensure comfort and convenience. Start with any one of the resort's four swimming pools, located both indoors and outdoors. The whirlpool spa in the pool area is a great spot to relax in the evenings, or you may choose to visit the fitness center to stay on top of your exercise goals instead. The on-site restaurant, All Y'all's Bar & Grill, serves up delicious American-style food and all the cocktails your heart desires. Before you leave, you can't forget to visit the Namaste Spa for amazing treatments like manicures or massages. Nearby, the whole island of Hilton Head is at your disposal. The beach is located just a short walk away, while other outdoor attractions like kayaking, sailing, or waterskiing are just a few miles from the resort. Visit Harbour Town for boutique shopping and dining, or hit the links at Oyster Reef Golf Club or Country Club of Hilton Head. Already Own at Marriott's Barony Beach Club?